This recipe is great for two reasons: you can prep much of this beforehand; and it’s super fast to make. I can’t imagine any man who would turn this down, when served warm with fresh whipped cream. 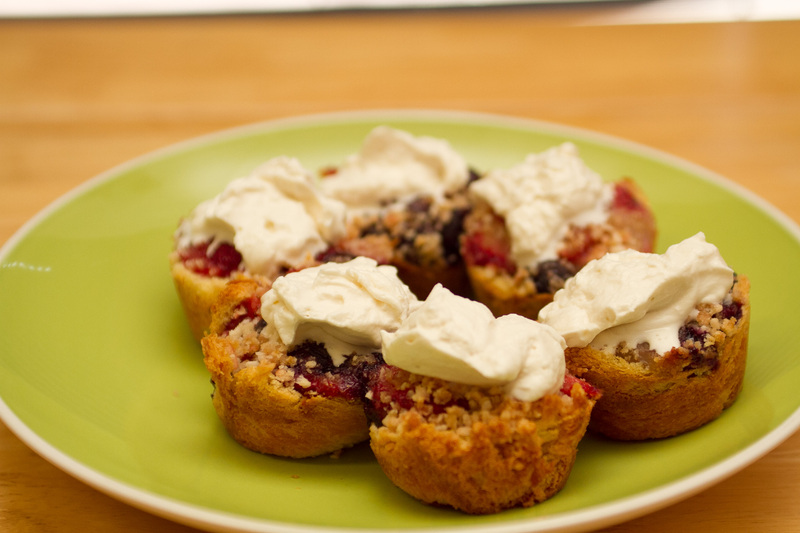 It’s got a magical mixture of Challah bread, berries, butter, sugar…. really could anything be better? Plus, that leftover Challah? Well I’ve got another recipe for you in case the date goes really well and he’s there for breakfast. In a small sauce pan, melt the butter over medium heat until golden. Remove from heat. Use a brush to coat the muffin tin. 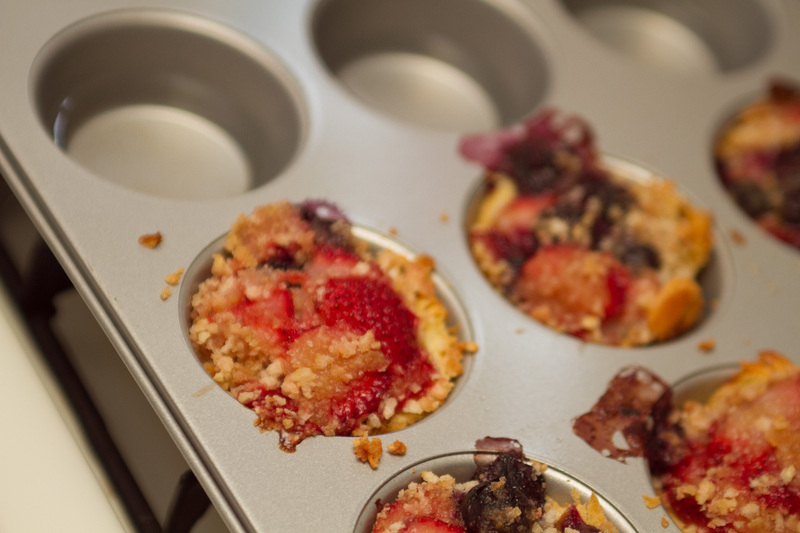 (Note: If you’re using a 12-muffin tin, only coat six of the spaces unless you are doubling this recipe.) Slice six pieces off Challah loaf and gently cut crusts off. Roll the bread with a rolling pin until flattened. 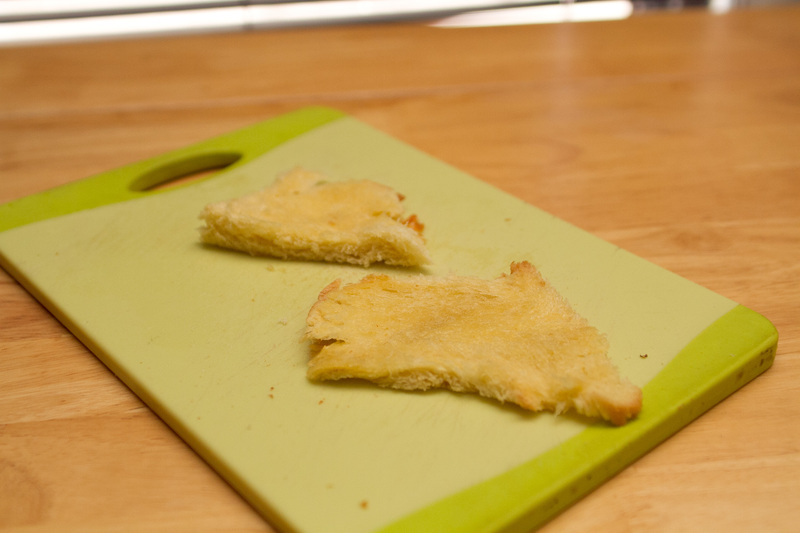 Brush both sides of the bread with butter and gently press slices into muffin tin (one slice in each space). Stir together brown sugar, flour and Panko. If using zest, incorporate into dry ingredients, otherwise, incorporate lemon juice into strawberries and blueberries. Add remaining butter to mixture. Toss ingredients gently to coat berries in flour/Panko/sugar mixture. 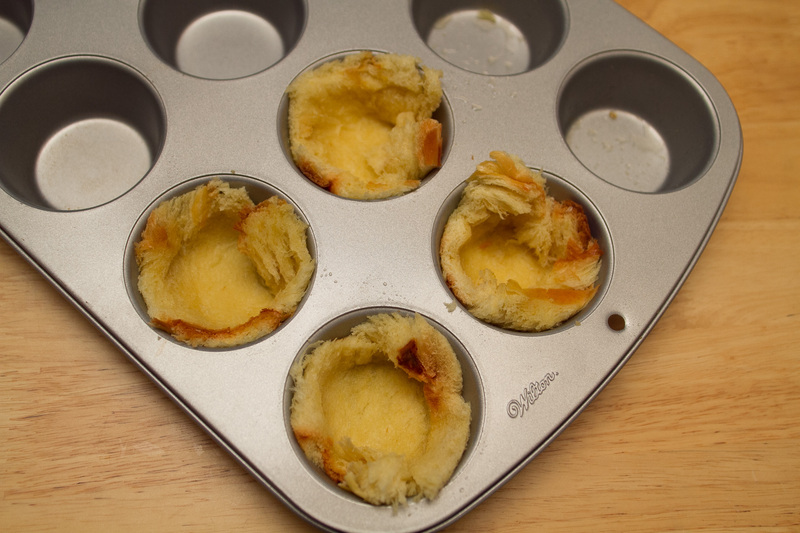 Spoon heaping spoonfuls into muffin tin, pressing down gently to pack mixture in. Note: If you are using a 12 muffin tin and are only making six Brown Bettys, be sure to fill the empty spaces about halfway full with water. This will prevent scorching in the pan and burning your Bettys! Cover the pan with foil and bake for 15 minutes, then remove foil and cook for another 10-15 minutes, until strawberries are tender. (Some of the blueberries may burst — don’t worry, they taste better that way!) 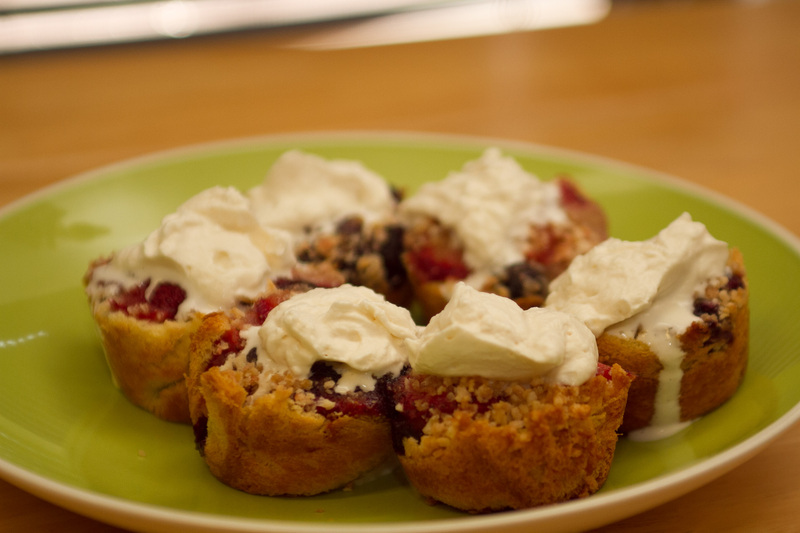 Let stand for 5-7 minutes and top with whipped cream. These are best when served warm.